Yikes! Was that the sound of a million, screaming tween girls recoiling in horror? Don't worry fans, Justin Bieber isn't planning on ditching his hip-hop bling for cowboy boots any time soon. But the teen sensation is teaming up with country music group Rascal Flatts to record a duet in 2011 - and it was Biebs' idea. "[Justin] asked us to do a duet with him on his next record," Rascal Flatts lead singer Gary LeVox told WSIX. "It's actually a really good song!" Is it just us, or does he sound surprised? What's not a surprise is that Bieber's incorporating a little down-on-the-farm into his music repertoire. He broke into a full verse of Alan Jackson's "Chattahoochee" in Nashville in August after being asked by a reporter for a list of his favorite country singers. As CMT put it, you've got to respect any teenager who can sing a country song that topped the charts a year before he was born. I laugh at all the little tweenies and teenies here claiming their love for this clown, not so much because I hate Bieber (I'm really unconcerned with him) but moreso because as we've seen every time some new "pop sensation manufactured singer/band" comes out, you twits start raving on cue. Bieber is the greatest thing since sliced bread, until a couple more years when you have better things to do with your life and he'll be nothing. oh, and @kiki14, how the hell would you know what his personality is like? You see him on TV, you see "heartfelt interviews"? You read his CD Cover, every word on every page? You're a member of his fan club? It's all an image manufactured to sell you CDs. Period. MANUFACTURED? REALLY? HE WAS FOUND NOT CREATED! GET YOUR STUFF STRAIGHT BEFORE YOU BASH ON SOMETHING YOU KNOW NOTHING ABOUT!! AND I GREW UP WITH NKOTB SO I HAPPEN TO KNOW THEY WHERE FOUND AS WELL NOT CREATED!!! Oh, great. Yet another manufactured hip/hop/rap/country/rock/prepubescent/fruitcake talentless individual presented by the music moguls as a god. Sorry to see this clown is a member of the general gene pool (but obviously the extreme shallow end.) What were this fool's parents thinking?????? You gotta be kidding!!!! all you haters dont know one thing abt him.....u just hate on him because of what u see in the outside but news flash he has a great personality and u need to figure tht out....so what if u dont think his song are the bomb and to be honest i dont either but u dont have to be rude abt it as u can tell ur not getting anywhere bcuz nobody cares what u think or say ur just gona get a feedback tht u dont like to hear and its useless so stop being stubborn......ever heard of dont judge a book by its cover well its just the same abt any other celeb so stop hatin and get over it ur not 5 yrs old.....think abt things before u blurt things out cuz ur gona get hit in the face by more comments and thts a waste of time!! Let the tweens enjoy their boy-band of the day, hell I remember my sisters listening to all kinds of horrible music growing up, Backstreet Boys ring any bells? Fact of the matter is, when your young your gonna listen to whatever someone tells you to because you don't know any better. So hype it up, tons of mindless-drones will wet their pants! Someday you will all look back at this and laugh, "I can't belive I thought that was good music!" Man, I hate all popular music today like hip-hop and pop. The problem is that im a big rock and metal fan and a lot of rock and metal songs are satanic. He looks like an astronaut in that picture. Justin Beiber is an arrogant little punk who, as it will turn out, was no more than a flash in the pan. ahahaha of course the 10 yr olds invade this article. He's a joke. Deal with it. you've got to hand it to him and/or his handlers he"s doing good. Justin some people hate you but I don't hate you. I wish I had Justin Bieber tickets to come see your concert and see you in real life. I don't want to see this kid on CNN again...he is NOT newsworthy. I think that song with Ludacris is alright....but other than that...this dude is just another sinking boy band in progress...PERIOD. I don't care how many ladys swoon...or don't. I love justin! he is such a great singer and performer. i think he is the best! my most favorite thing that he does is give back. Its so generous of him to give all of that money from his concerts to charity, i wouldnt care if he wasnt cute, or couldnt sing, its just the fact that he cares about children who havent got that much to look forward to and thats what makes me love him so much. He is an excellent role model for children to look up to and thats not something to be ashamed of. i dont see why people have to be mean and rude to him. He never did anything to them, so why should they do and say hurtful things to him? I cant stand when people hate on him for no reason. Half of the haters out there are guys and its mainly because their girlfriends love him but what they need to understand is that none of them will probably end up dating him anyway. so please stop hating, all he really wants to do is make the world a better place. Let us know what you think, I am not a fan of country music at all, eat your heart out. The line between pop and country music is pretty thin, just add a steel guitar. Country music hasn't sounded like "true" country music since Garth and Shania took over in the early 90s. That and all music, thanks to American Idol, has been diluted. Look no further than Jon Bon Jovi and his crew writing the best boy band songs of their career. Like N'sync couldn't pop, lock and slide to "It's My Life". And then we wonder why music gets posted/stolen on the internet. Create something worth owning and people will buy it. Anything less is Vampire Weekend or Kings of Leon and pigeons can't even stand the latter. That said, please don't spend anymore money on Justin Bieber. If there's no income, he'll just go away. want you then he don't want you know. Hes only 16. Did you ever figure that out..? His Mother travels with him. You are just probably a sad little punk that is going to live in your Mother's basement... have fun with that. UMMM Honestly its kinda koo that biebs wants to team up wit the best country group out there but idk how well that will work out! I guess we can only see wat is gonna happen wit it! But I like some of biebs music and I love Rascal Flatts so im def gonna listen to it when it drops! whoever commented on bieber in the back of a car kissing a girl,u think he's full of himself bcuz of that? 1st pf all, he said he didnt even know people were takin pics of that (interview with Barbara walters,go youtube it so u wont b ignorant about it), 2nd of all, he isnt full of himself; he doesnt like folks in his personal relationship life anyway,which relates back to my "1st of all." 3rd of all, the day he gets full of himself, i will definitly stop supporting him. clearly i still support him so he is not hotheaded like that.he's a smart guy & he knows he'd lose ALOT of his fan base if that was the case. 4th of all,his personal business has nothing to do with this article either. Crap attracts crap, I suppose. lol, i like how some of u r negatively judging the song/collaboration b4 u even heard it...NOT. noone knows how the song will turn out until we actually hear it so thats that. Biebs is my fave pop artist right now..and this is comin from a 21 yr. old. and Rascal Flatts is my fave coutry group, i love both these fellas so im excited to hear the song. miley cyrus, bieber's hair,nor the past idols back in the day hav anything to do with this article. Justin is doing good for himself. alot of folks dont understand the "bieber movement" or whateva u call it,but like someone else sed, that boy is self-taught in so many instruments, he can actually SING (not autotuned like kesha -_-,she doesnt hav anything to do with this article either lol), he has a nice charming personality, AND he doesnt make nasty disrepectful songs. Respect is due to him.the kid worked very hard to get where he is now,even b4 he was famous or got fame & i think thats inspiring,esp. for someone at his age.I love him. he's growing & gettin better each day. He's blessed 🙂 Btw, go to the movies Feb. 11,2011 to see his movie Never Say Never; its NOT a concert movie but u will get to really see his life,his talents & the real him, for all of u who r on the fence about him. i think u'll like it. Please keep this pre-fab pipsqueak pop puppet OUT of country music. He has NO credibility whatsoever and there is WAY too much Auto-tune being used in country already!!! Get a poster of the poseur already and be done with it. Has anybody else noticed that there is an overabundance of children posting comments? Aren't parents supposed to be monitoring their kids' internet use? Get to school, kiddies! Taylor Swift is very talented and she did not ruin country she enhanced it and made it better i'd like to see u go and do the things she did and make it big like her oh wait i forgot ur a no talent son of a b**** who takes it out on talented people because u wish u could be like them. and behind it all u probably listen to their songs all the time. b. Justin Bieber can do whatever he wants with his songs. no one cares what u think and if he likes that band and wants to do a song with them then let him and don't try and make him feel bad for trying to do something he wants to do. im suprised that there *arent* thousands of celeb. suicides each year the way that people hate on them... that makes them feel they're a piece of s*** how would u like it if u were as big as them and people where hating on u.. and dont say it wouldn't bother u.. they try they're hardest to make people happy and to enjoy what they do at the same time and people like u r going to ruin that for them.... there r plenty of people that i cant stand or dont like but i dont go on websites to diss them.. if other people like them then ok thats there taste if these celebs r getting money for it then they must be doing something right.. Taylor and Justin have had sold out concerts more than once im sure, id like to see u do that..if they dont have talent then y do so many people like them... and Taylor has greats songs and i along with other people agree she should mix it up a bit but thats her thing she writes from the heart and if thats the music that she wants to go along with the lyrics then so be it.. i also think that Justin repeats things too much in his songs but thats the way he likes it apparently and if hes getting like 300,000$ per show then apperently his fans like it too.. so stop hating on people and get a life... everyone likes something different and just because u dont like it doesnt mean u should hate on them... thank u for reading and i hope u learn how to get a life. I think it would be great if he just disappeared, finished high school and went to college or something. So uninteresting! Finally something different! I think it's cool that he's doing a duet with the Rascal Flatts....i'm actually a big fan of their music! Cool I'm not a fan of country music but it might sound pretty good. Hey guys! my mom alway taught me if you dont have anything nice to say....dont say anything at all! i personally like justins songs...hes got amazing talent and very conectable songs...hes a normal guy that just gets photograpghed and wrote about..if you thing about it everyone could be famous..they just need a camera and internet. I think change is good thats what keeps the mystery of "what is he going to do next?" he does got amazing talent he can sing grrreat. thats why he release justinbieber myworldsacoustic. DUH! Im a true belieber...but i dont like the famous justin..i like the real justin. its not his fault people like to photograph him and follow him. He has over 6 million followers on twitter and over 15 close to 16 million fans on facebook. and i agree that he is the true rags to riches story. Justin dont listen to the haters out there. Just be you and there will never be anything wrong with that. we love you for you not who people make you out to be. Keep the dream alive and never say never!! Don't worry fans, Justin Bieber isn't planning on ditching his hip-hop bling for cowboy boots any time soon. 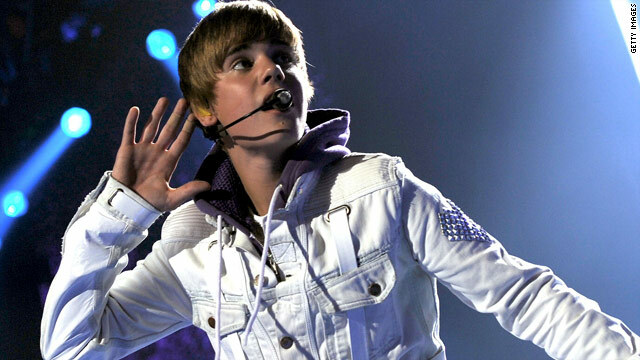 But the teen sensation is teaming up with country music group Rascal Flatts to record a duet in 2011 – and it was Biebs' idea. I am happy that we all have freedom of speech. It expresses the level of intellect in some people. That is also entertainment for the reader at times. In the case of Justin Beiber and other celebrities, their craft is meant for those who enjoy them. If you do not enjoy them, then find the artist that does. A good point made earlier in this blog was the statement made by a fan of Beiber, "Then why are you searching for him?" This type of action I feel might show hidden tendencies that you are scared to show, because of the possible rejection from your peers? Be strong and stand up for your self. If you like him, then like him! If not, then find the site of the artist you do and praise them for their craft and support them. Just knocking down artist and others in an arena that does not pertain to your likes, is infantile! I enjoy his music and I enjoy many others. I am not a fan of rap, but I give myself and them the opportunity to be entertained by them. If I do not enjoy them or a particular song, I change to another until I do find the one that I enjoy. There are some rap songs that I like, but for the most part, I do not enjoy rap. It takes a lot of courage to get up on stage and pray that your craft is one that pleases the masses. You will enjoy life if you are more open minded and strong enough to defend your choices. Good luck in becoming more mature!! Alrite, all thee people who talk trash on Justin clearly have no lives. He has got some amazingg talent that you probably don't even have . && He does not sing like a girl. He's just cappablee of hitting those high notes, which not many people can achieve of doinng. If you dislike him, do us all a favor and stop searching him up. You're just making him even more famous then he already is now. It's as simple as that. I think that Justin Bieber should make a video of him singing " sarabeth" by Rascal Flatts and do a duet with them!!! The only people here that are hating are the ones that have NOTHING GOING FOR THEM! I personally think Justin will be WAY better than Taylor Swift. I really hate her!!! Wow! I'm having a feeling it's gonna , be Great! CONGRATS JUSTIN!!!!!!!!!!!!!! I'm sure it qwill be great! I'm so proud of you. HATERS you need to get a life he NEVER did anything to do to hate him...and if you HATE him SOOOOOOOOOO much why the Heck are you searching him.....I LOVE YOU JUSTIN! really? everyone, justin is only making ONE country song. he's not gonna loose his fans. he actually might get some because he's singing with RASCAL FLATTS. he's AMAZING. he's talented, giving, caring, loving, and let's not forget gorgeous;) he's better than all his haters will ever be. haters make him stronger, just to point that out. he's giving THOUSANDS of dollars to charities. he's done SO much for his fans and family. all you haters can stfu. and his outfit isn't from NASA? where did you get that from? it's a white jacket and white skinny jeans with a purple vest. there's no NASA anywhere in that outfit. I will start off by saying I don't think he is going country. The song will be pop featuring Rascal Flatts I'm sure. As for "what's all the hype?" the hype is that he has raw and real TALENT. If you look at his very first videos on YouTube you can see that. The difference is that he wasn't looking to be famous with a singing career it was just something he liked to do and it turned out that he was good at it! He's a true rags to riches story and he doesn't ever forget that. He gives back go charities, especially ones involving children. His fans love him because he is real and talented. From what I see he is a truly down to earth person that is greatf for everything he has. He wants to make music and make a change in the world. I'm always hearing "he can't song" " he's so gay" "he's done when puberty hit" but the truth is that NONE of that is true. Take the time to watch a live video of him singing and whether you like the song or not anyone can see he CAN sing well. He is not gay, for one it's ofensive and two even if he was why would it matter for his career? Have you never heard of Adam Lambert? Finally he is going through puberty and his voice is already changing. It has gotten much lower over the past year and had a few cracks here and there in concerts but that's ok! That is what makes his fans appriciate him so much because he isn't afraid of the change he is embracing it and he's got help to keep it under control. His fans love him because he is an inspiration. He is nominated for 2 Grammys how does that Not prove he has talent? He proved that anyone can do anything they set their mind to you just have to believe and never give up. Don't mess with Bieber because his fans will stick up for him, I know I always will. I think "Maggie" needs to shutup. Your probably the one with no job living out of your car. He's got more talent at 16 than you'll ever have! ppl leave Justin alone, im sick & tired of haters (especially snce i have friends & family like tht) u ppl r so annoying, if u dnt like him then dnt take time to pay attention to him! Wowwww. All you people that are talking shi** about justin really need to GET A LIFE. Like seriously, if u hate him so much why do u think about him and talk about him? Makes no sense. You guys are just PATHETIC and like I said go get a life and maybe find a job while ur at it to help you guys with ur internet issues. I agree with you, except I dont like Miley, but i'm not going to go on her page, and just say mean things about her. I like u,boy.:-D. Good luck. I'm your fan in Viet Nam. Justin when u come to thailand? all the other beliebers: awesome job 4 standing up for Justin, together we r a family-the bieber family 😉 lol I LUV U JUSTIN BIEBER!!!!!! I think It's really funny when there is something on the internet about Justin Bieber and there is always a whole bunch of comments from people who don't like him. Well honestly if you don't like him, don't take the time out of your life to bash on him. He's tried a lot the past couple years and doesn't deserve to be treated like this. So you all just need to get over yourselves and move on. He's a great guy and an amazing singer. GO LEXI! That's so true! all u bieber-haters: stfu! u dnt know wat talent is when u say he has no talent! justin is very talented, cawesome(cool&awesome), cute/hot/adorable/handsome, he actually has a heart unlike some ppl! yeah tht's right, i went there!...I LUV U JUSTIN BIEBER!!!!!! Whoever says this kid has no talent is either out of their mind, or just ignorant to the term. Go look up how he got discovered. There's NO way he would still be bigger than ever right now without a ton of talent. There's no way he would be getting all these collaborations either. And no, it is not all about the money. OMG. if you dont like justin bieber, you guys dont need to write all those things about him! He is a great singer, and so are Rascall Flatts, I think they will be good together. Meet Justin Bieber or Taylor Swift next year 2011, sign up here http://www.koiniclub.com/ref/C-10-80040366 after u sign up, go to ur e0mail and confirm it. As a parent of a teen girl. I have listened to every Justin Bieber song there is a million times. I have gone to his concerts. I enjoy him and his music and I am happy that my daughter has a teen idol who has some morals. I do not understand why people give him such a hard time. When I don't like someone's music, I simply turn it off and don't listen, I do not disrespect them by calling them names and starting rumors. I suggest that everyone leave Justin alone and let the kids enjoy. yoi've absolutely right! He is talented, and i dont understand why people dotn let him do his thing.. -_- maybe their jealous or somethin ? Ahaha, you haters. No talent? This kid is possibly the most talented 16 year old out there today, he's hard working, sweet to his fans and gives anything a try. He's deffinetly here to stay wether you like it or not. I'm pretty excited to hear this duet. Don't you all think you're a little old to be bashing on a 16 year old? Justin Bieber has talent, and I think its unfair that you all make ridiculous comments. How would you like for somebody to pick you apart at things "you're not good at" as far as his interviews? Give the kid a break, sorry he hasn't taken college level oral communication classes... Maybe he's a little nervous to be talking in front of millions of people. Let's seee you guys do it. None of you even know Justin Bieber personally, and shouldn't be criticizing. Or belittling him. That's not even fair. Disgusted at this world. Good job for defending Justin Bieber and I agree with your response. why are you all hating on him ? Look he's just a normal kid . he has talent ! I dont get why people hates on him, he's cute , amazing , talented and much more.. He's not ugly , mean , stupid and all that. Chillax people. It's only justin. Not satan. You guys obviously have nothing better to do but sit online and talk about Justin Bieber. Like really, how old are you? Grow up. People like you make more hype about him. In my opinion he's great..but if you don't think you I don't see why you waste your time talking about him over the internet. Go do something productive. Umm ur writing on this blog also ?? Okay, people do like Justin but I just don't see country in his future, he is good where he is and if he adds more genres into his career he will start fading and loose fans, people like him just the way he is. What I want to know is ,what is going to happen when his voice changes???? He got hit by Sour Patches candy wrapped in a t-shirt. Us older people remember the idols of our period:David Cassidy,Osmond Brothers,Jackson 5. Trouble is the idols of today aren't happy with what they have. They have their time of fame,then it's over. That's exactly what the wigs AND Bieber's hair look like! Ken head! Lol! Making fun of a 16 yr old kid's looks, eh..? Well let's see how you look like.... then we will make fun of you... hows that? There are maybe three songs from miley that i like. and not because she sang them. northumberland high had a catchy lyric to it. party in the usa makes ME wanna throw my hands up and just let loose at the end of the day. and the climb is a song i can relate to on a personal level. I cant stand her singing voice and her speech impediment makes me wanna run my own nails down a chalkboard to drown her out. Well, I'm sure your parents thought the same thing about them, Amanda. Although David Cassidy and Bobby Sherman COULD sing! First of all, his HAIR is completely irrelevant in this article and last time I checked, hair had absolutely nothing to do with talent. Also, you are completely ridiculous if you think he is a "brat" with no talent. I have been a fan of Justin for FOUR years, I knew of him way before the fame, and he definitely has talent. He play so many instruments, all self taught. He has a great voice. He dances. He does SO many things, and then people like you just are just oblivious and the only thing bad you can say is "Oh, he sounds like a girl and puberty will get him soon enough." Well, newsflash, he does NOT sound like a girl, and right now, his career is stronger than ever. So obviously, your little theory isn't correct. He's only going to get more famous, so maybe you should open your eyes, because clearly you had failed to see his incredible talent. OH & it makes me chuckle that you call him a "brat". Do you know how much this kid genuinely cares about his fans? Not just his fans, but everyone. Why don't you read what fans write about on here http://mybieberexperience.tumblr.com/ or why don't you go watch his video "Pray" and then come back here and try to tell me that he's a brat. When my girls talk about Justin Bieber like he's the god from somewhere up north I can only think about where in the world is David Cassidy or Bobby Sherman. I agree – no talent and very over-rated. My 8 year old granddaughter will either mute the tv or leave the room when he comes on. Can't you just be nice? I'm a big fan of Justin, but anti-Miley. But there's nothing wrong with Justin! SO JUST LEAVE HIM ALONEEEE. I so wish ghey bullying weren't passé. If anyone needs it it is him. I have a large collection of CDs and only a couple of them are country. I know a number of people with large CD collections where NONE of them are country. Come out of the doghouse and experience the real world. i buy tons of cds, none of which are country except for taylor swift. i buy cds for all my favorite artists. and what does that even matter anyway... IRRELEVANT. Why don't you take a look at the sales charts before you reply. Sales are down in EVERY market, except for country. That's because country fans are too stupid to know how to use a computer. D'oh! LMAO! Sassy, I couldn't agree more! Isn't he just soooooooo cute? You really think the bowl cut hair cut and a voice that's higher than a 2 year old is cute? I like alot of the new music out there. And some ot the ones that cross music lines and charts. But I think that sometimes you should not try to go where you are not comfortable and say "Hey I think that I can do that. Not everyone is ment to sing country and not everyone is ment to sing hip-hop, pop, or rock. "It's actually a really good song!" IT PROBABLY IS A GREAT SONG!!! Just leave him alone, get a life and stop saying he's bad when he's amazingg. Um, yeah it probably is a good song, and if your gonna be a hater then hate somewhere else! Yeah I agree, I doubt it will be a good song. By the comments definitely one of the most sold, just because it Justin Bieber. I love the BEB I think it will be awsome cause Rascal Flats rocks too! Unfourtunatly my 7 yr old can't stand him so I bought him a J BEB shirt with a heart around Justin's face and stuck it in his stocking lol! Yup, because when you use autotune to fix your crap voice and computers for music, you are totally talented and awesome.....You "Beliebers" need a lesson in talent.